The attorneys at VanAntwerp Attorneys, LLP strive to achieve our clients’ planning goals while providing the most comprehensive estate planning services available. We tailor each client’s plan for the accumulation, preservation, administration and tax-efficient distribution of assets with the client’s specific personal and financial goals. 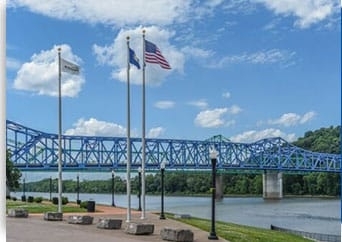 Our attorneys have developed relationships with bankers, accountants, insurance agents, brokers and appraisers in Kentucky and the surrounding states. These relationships allow us to offer comprehensive estate, business and tax planning services to our clients. Our attorneys assist clients in creating trust arrangements to shelter as many assets from federal estate, gift and generation skipping taxes as possible. These arrangements often allow clients to provide beneficiaries with asset management services, protect assets for family members and leverage tax exemptions so that assets may be transferred at the lowest overall tax cost. As part of the overall planning process, we provide a full range of estate planning services, including wills, living wills, powers of attorney, health care powers of attorney, organ donation, living trusts, marital agreements, pre-nuptial agreements, guardianship, adult adoption, charitable trusts, insurance trusts, grantor trusts, special needs trusts, Medicaid trusts, personal residence trusts, educational trusts, family limited partnerships, limited liability companies, business continuation and buy-sell agreements, family business representation, like-kind exchanges, and many other estate planning and related business services. After the planning documents are signed, we help clients take the appropriate steps to fully implement their estate or business and tax plan. We also help clients consider new planning opportunities as they arise in the future. The attorneys at VanAntwerp Attorneys, LLP are active in the planning, administration and settlement of estates and trusts. We represent trustees, executors, administrators and beneficiaries, both individual and corporate, in the structuring, management and disposition of our clients’ assets with a minimum of tax and administrative expense or complication. Our services include client advice and consultations, document preparation, collaboration with banking, investment and accounting advisors, tax guidance and court appearances. The services involved in probate administration matters include preparation of documents and court pleadings, preparation of federal and state estate and inheritance tax returns, postmortem income and estate tax planning, disclaimers, coordination of appraisal and valuation of estate assets and supervision of asset transfers and trust funding. We also have experience advocating for our clients’ interests in will contests, trust construction matters, contested guardianships and breach of fiduciary duty. Our attorneys have the experience to handle the complex legal issues presented by an estate in a manner that recognizes the emotional stresses our clients feel during the administration process and to complete the administration as quickly and efficiently as possible. For assistance with estate planning or administration, contact our firm. Call 606-329-2929 to schedule a consultation.